Snow White Statue. Snow White Statue. 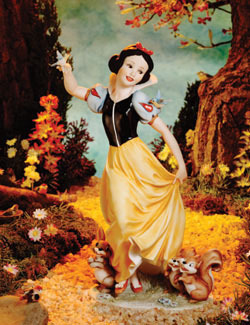 Wallpaper and background images in the Snow White and the Seven Dwarfs club tagged: snow white disney statue collectible memorabilia. This Snow White and the Seven Dwarfs fan art contains boeket, corsage, ruikertje, bouquet, posy, and bruidsmeisje. There might also be diner jurk, diner toga, formele, avondjurk, formeel, diner-jurk, japon, and jurk.